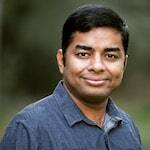 Ruchit G Garg is founder and CEO of Harvesting (www.harvesting.co), a FinTech company focused on connecting finance with smallholder farmers in emerging markets. With the vision to create a profitable yet very impactful enterprise, Garg travels across Africa and India to understand challenges in agricultural financing. Harvesting has been awarded Best FinTech by FMO in African Microfinance Week and has won a Global Grant Challenge award from Singularity University. Prior to Harvesting, Garg was founder and CEO of 9Slides, an online learning company for growing businesses. Garg has worked with Microsoft and contributed to many key projects such as XBOX Live, Windows 7, MSN Games, etc. Garg is a mentor/advisor to several startups in India and the United States. There are many reasons for the $450 billion global agricultural finance gap. But much of the challenge stems from lenders' inability to monitor farmers' output, estimate their income and assess their risk of default, says Ruchit G Garg of Harvesting Inc. He explores how artificial intelligence and satellites are addressing that data imbalance, helping lenders reach many of the world’s 500 million smallholder farmers for the first time.